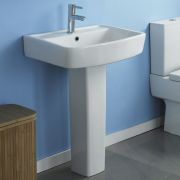 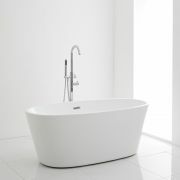 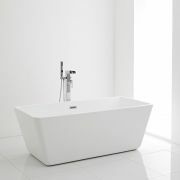 At just 420mm wide, the Premier Provost basin is a great option for a cloakroom or small bathroom. 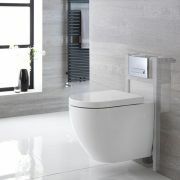 It features a modern curved design and an easy to clean white glazed finish. 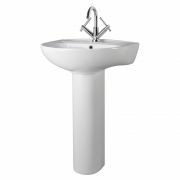 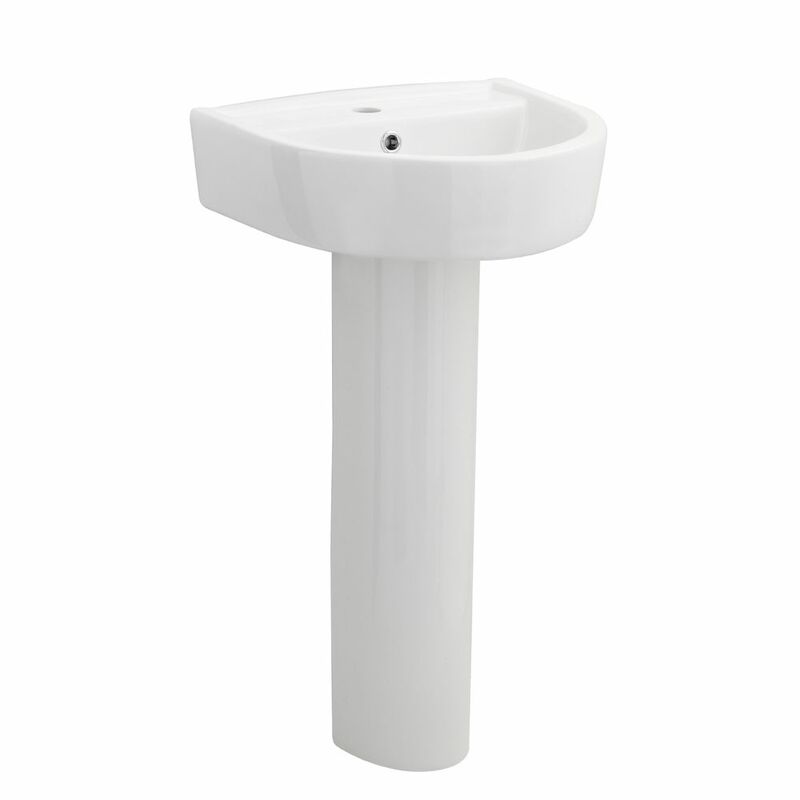 The full pedestal is supplied, which conceals unsightly pipework from view. 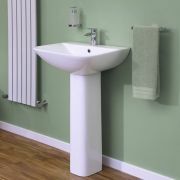 The basin has a single tap hole, so you can choose from any of our mono basin taps to complete the look. 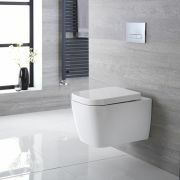 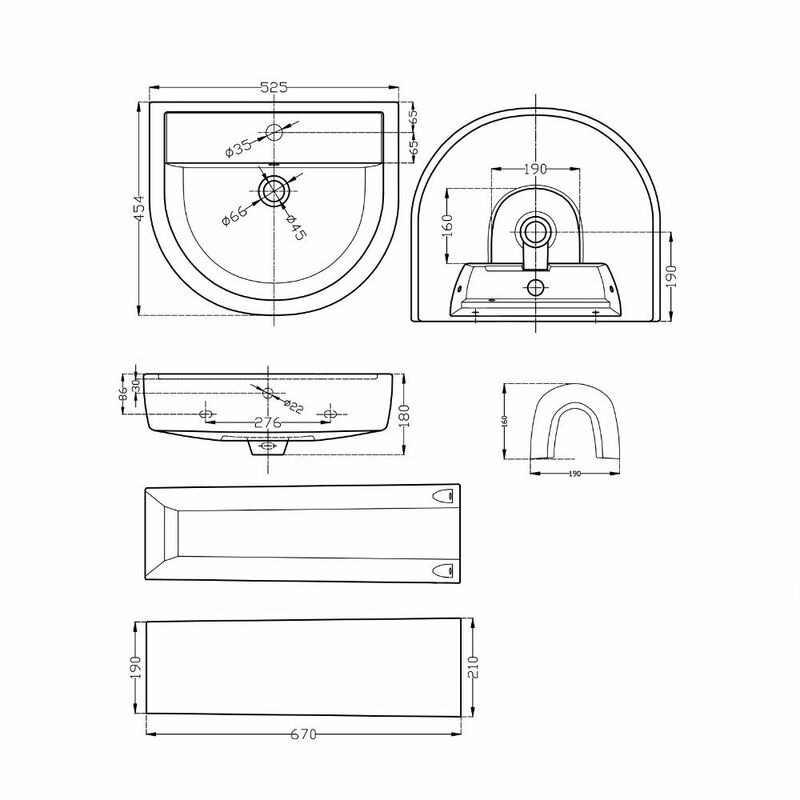 It also has an integral overflow, which means you’ll need a slotted basin waste.